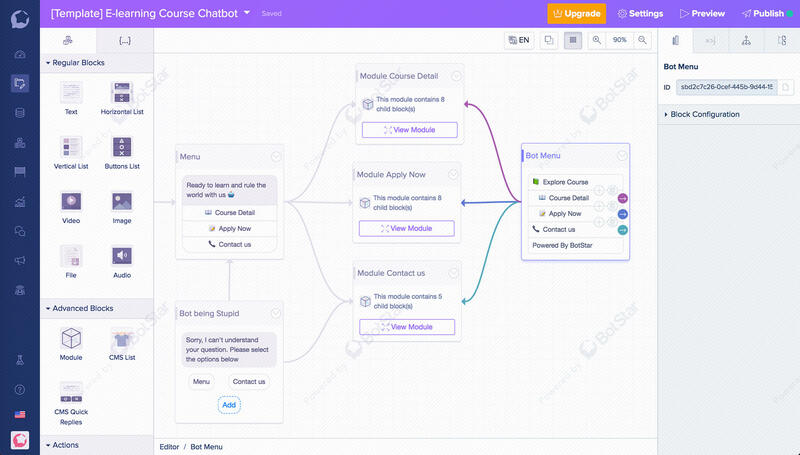 Help customer schedule classes and easily apply course. 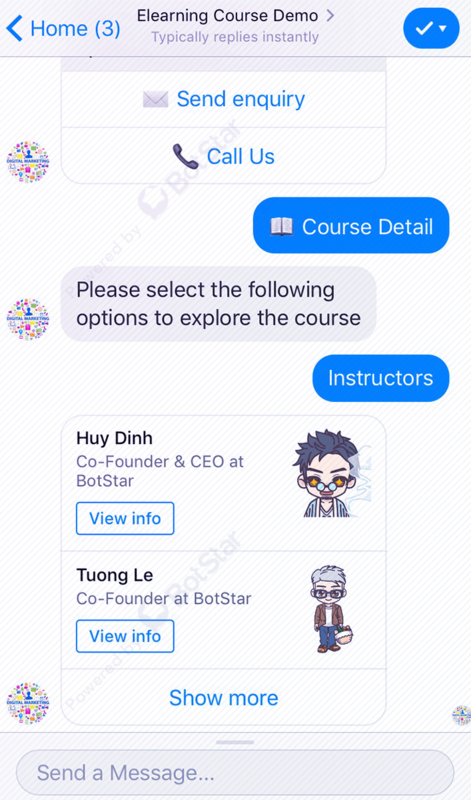 The E-learning Course Chatbot helps you engage with your customer to show them timetable and schedule classes more efficiently, provide customer clear instructors information, course summary as well as collect customer data (email, phone number) for future content directions. 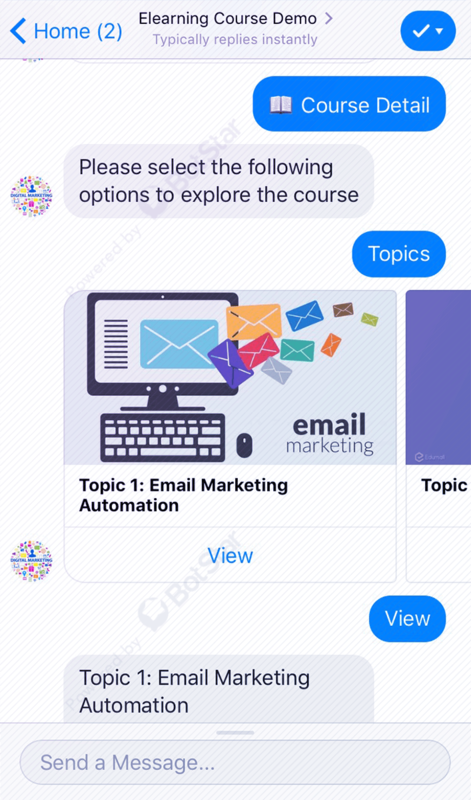 Your customer also can simply apply course within a few minutes with this bot.